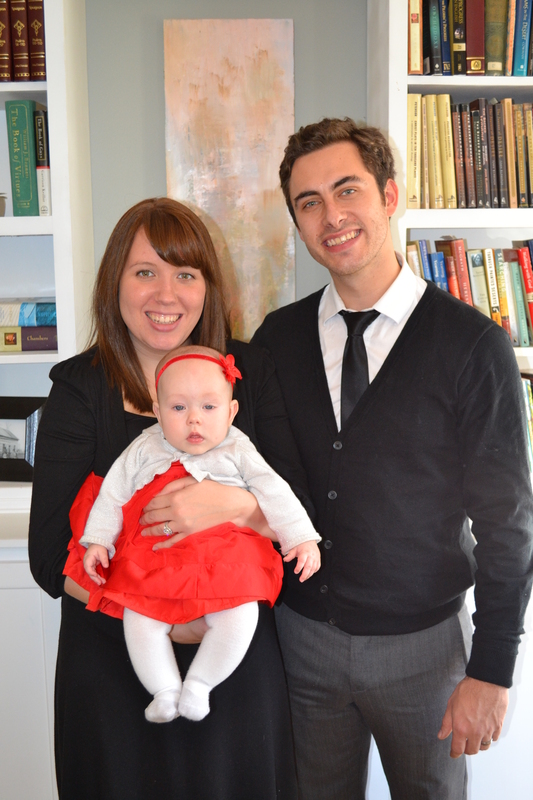 This past Sunday, Matthew and I dedicated Hannah in front of our family and church. It was the most precious moment we’ve had as parents so far. Our main purpose as parents to this little one is to lead her in the faith and on Sunday we were given the opportunity to profess that publicly. Our hope and prayer is that one day she would love Christ with her whole being and strive to serve God in all she does. 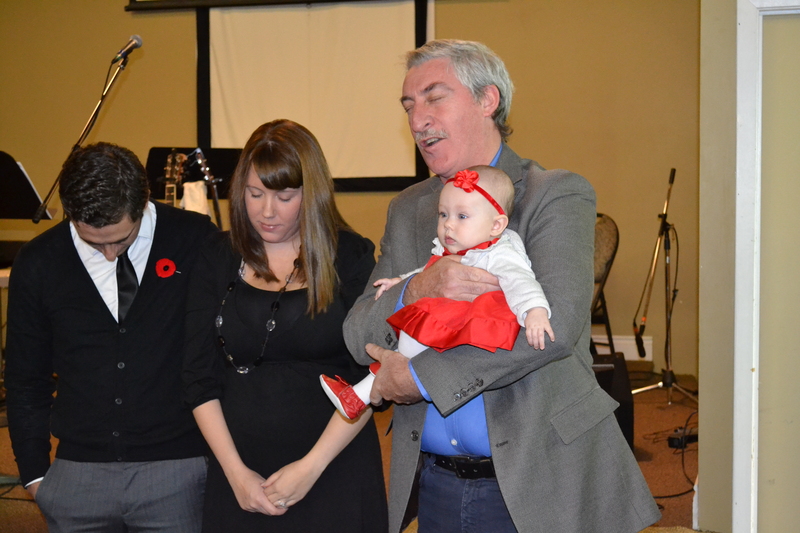 My dad is the pastor at our church so we had the blessing of him dedicating her. 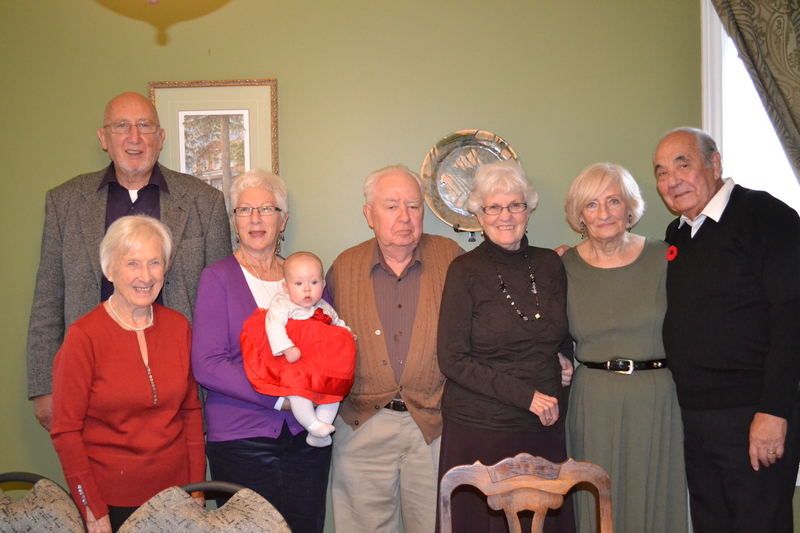 We also had my mom and my in-laws stand with us during the dedication followed by my dad and my father in-law praying over her. 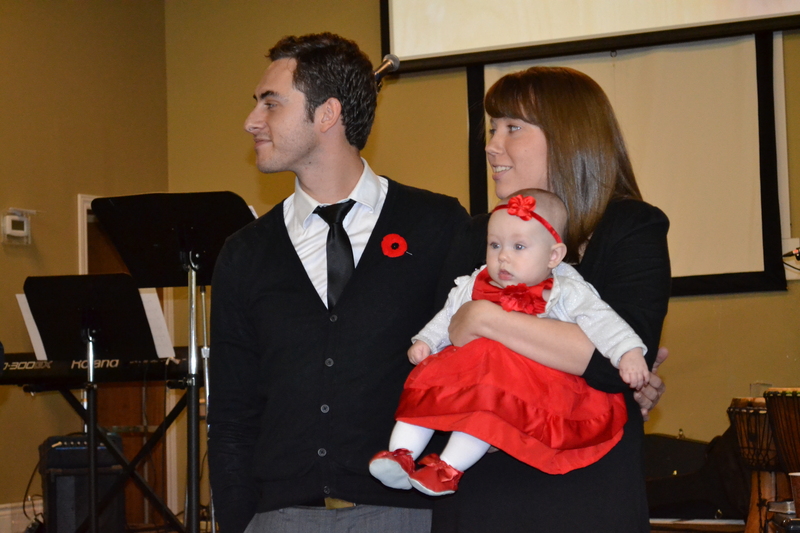 Having our family a part of the whole dedication meant so much to us. They are a huge part of Hannah’s life and to have them also state that they will continue to walk along side of us and encourage us to raise her in the faith was an incredible blessing. 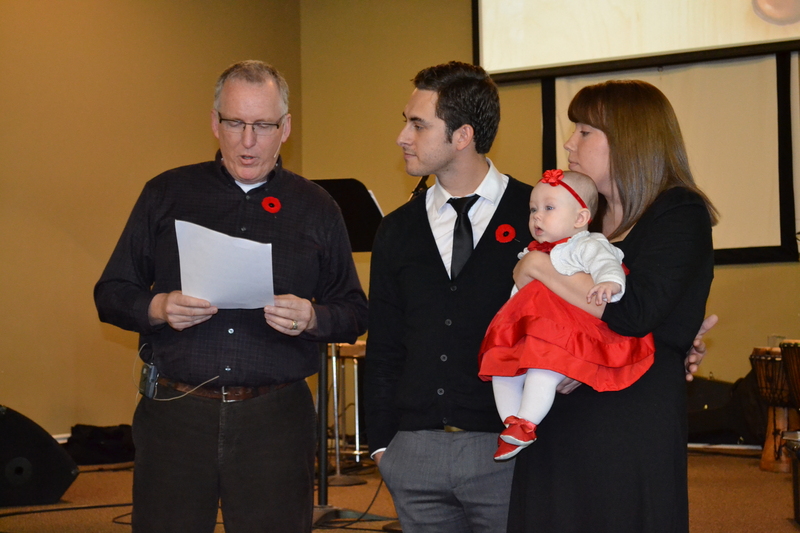 It was also so encouraging to have our church family stand and take that vow. After the dedication some of our siblings sang Scandal of Grace by Hillsong United. We love the gospel message in the song, that it’s because of God’s grace that we live. Our prayer for Hannah is that one day she will make the decision to follow Jesus and know that his grace is more than enough.